Many peoples spend lots of time and resources to make or acquire unique gifts for family and friends. But, accompanying them with the usual generic card is an outdated practice. 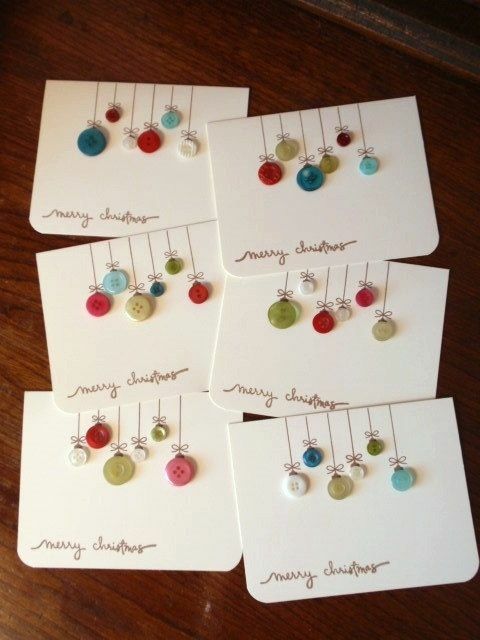 This coming Christmas you should try something new with your cards, and this is to hand-make them. 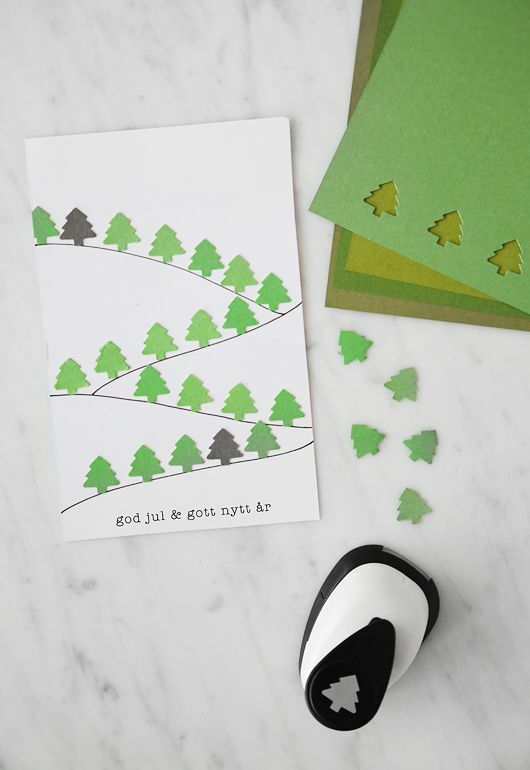 Handmade cards are unique and personalized because you will make them with that particular person in mind and you can make it in any way that you want. Cards might be cheap but saving some little cash by making them instead of buying is still worth it. Also, taking the time to make a unique card for those that you love is the most genuine way of showing them what they mean to you. 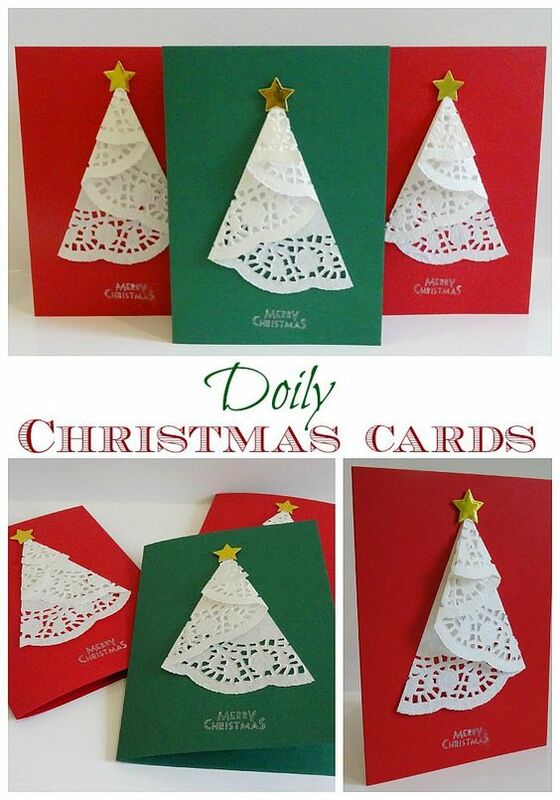 Here is a roundup of some handmade christmas card ideas and you can use to make your own fabulous one. A little creativity is important if you want to create a unique card like this one. 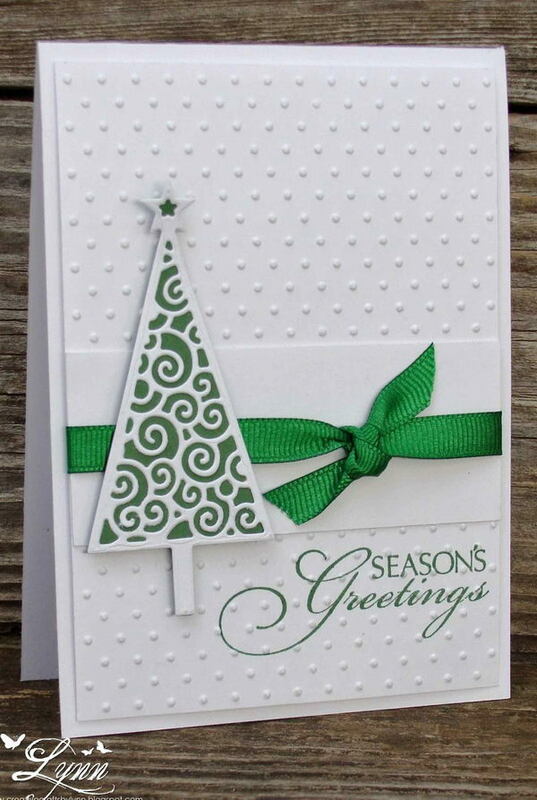 You will need a folded plain card and regular green paper. The next step is to fold the green paper in a fan-like pattern, and then cut it into different size strips. 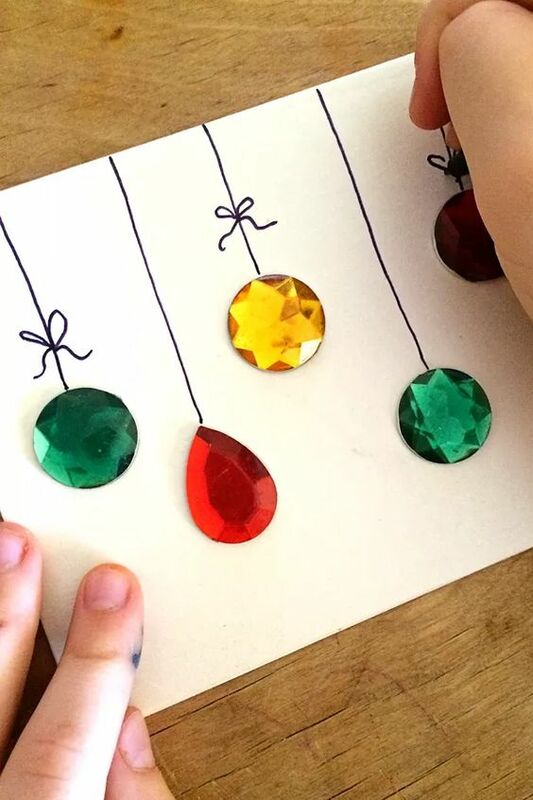 To finish the Christmas card, you should glue the green pieces at the center to create the pop-up design. 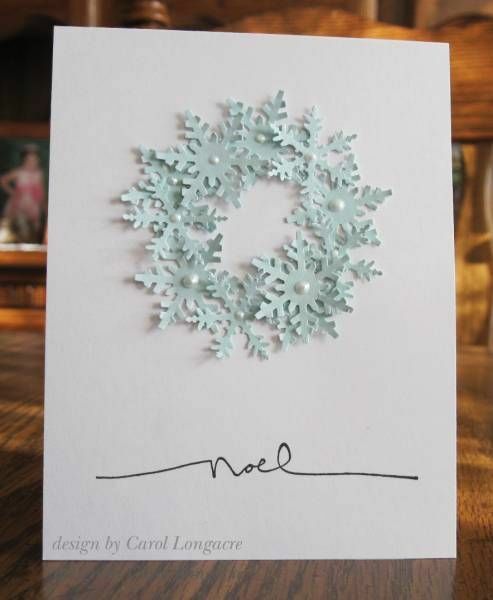 This card is as simple as any can get, but it is a result of a lot of creativity. 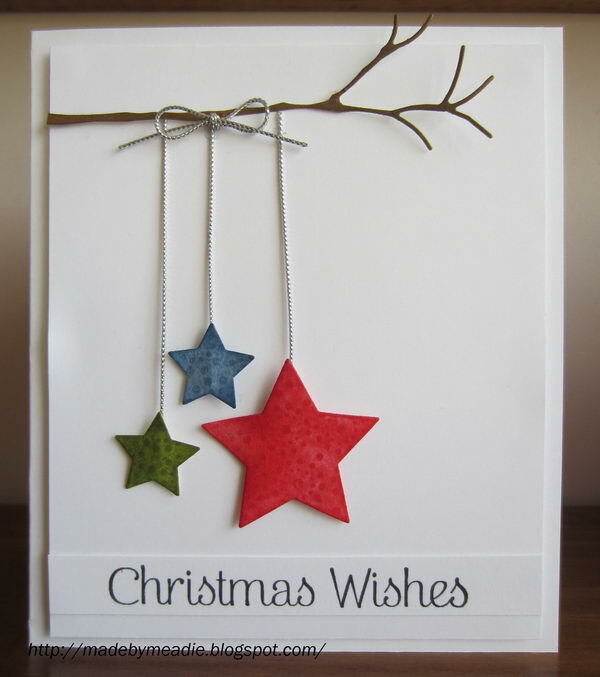 It requires gluing a small stick or straw to a plain card with a star above it. 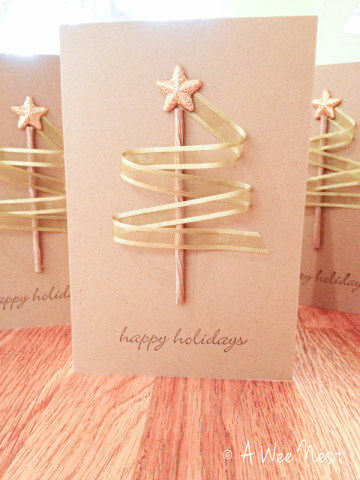 The last step is to use two ribbons to form a Christmas tree shape starting from the star at the top. 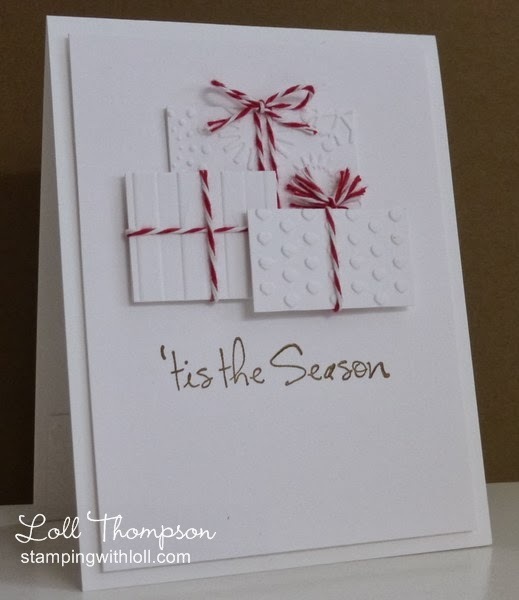 A folded blank card and some multiple color buttons are the main things that you need for this card. 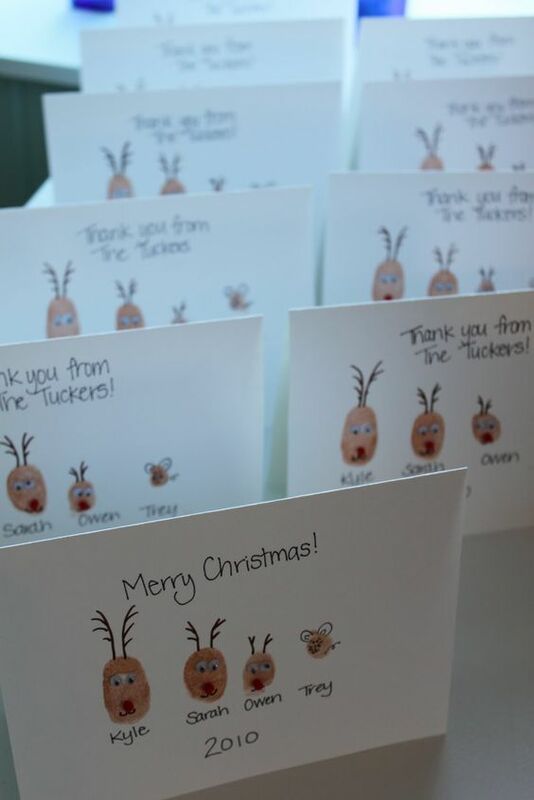 It entails arranging and gluing the buttons on the top part of the card, drawing some fine lines from the fold to the buttons and finishing by giving each a bow. 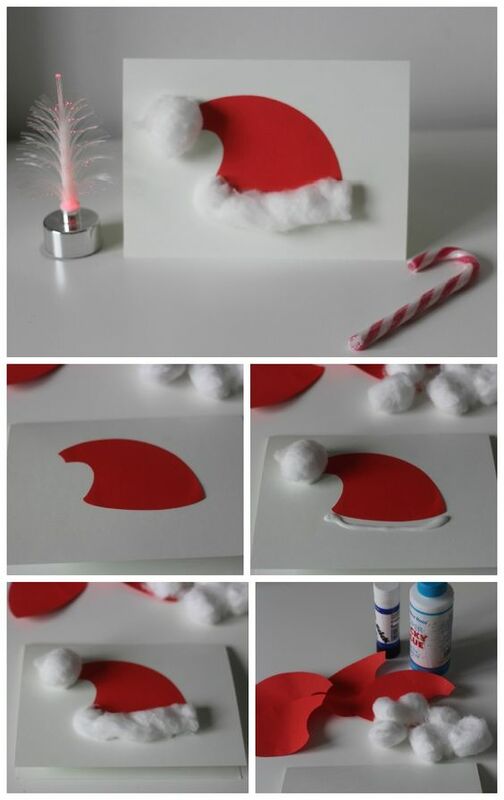 You should be able to finish this card in just a few minutes as it is very easy to make. 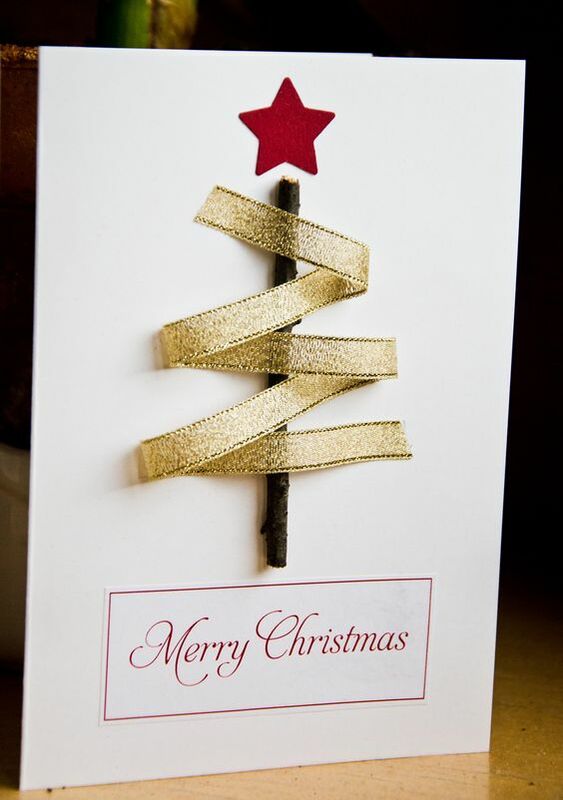 It requires one to glue a small stick on a plain paper and a red star above it and finishing by placing a shiny ribbon above it to form a Christmas tree. Most people always have some pearls lying around, but if you do not have them, you can buy them cheaply. 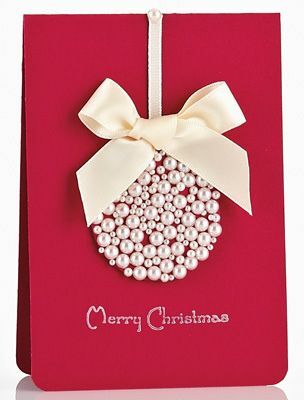 For this card, you should have a beautiful and folded red card as the background on which you will stick the different size pearls and bow ribbon to create a unique and classy-looking Christmas card. 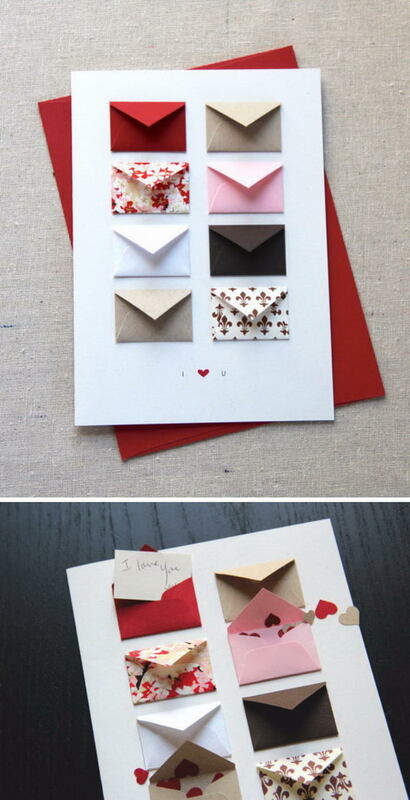 These cards look beautiful and creative. 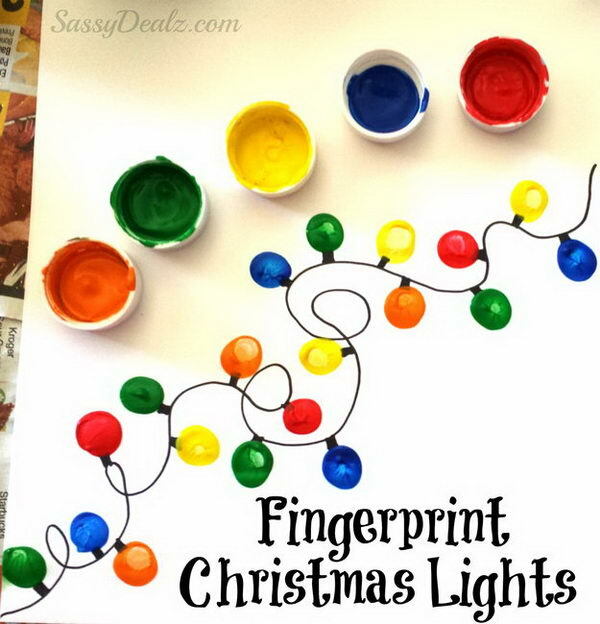 I will try to make some of them and gift for my friends and my family when Christmas come.